Normally this is a tiny non-named lake. But warm weather caused a fast spring snowmelt this year which has overflowed it. 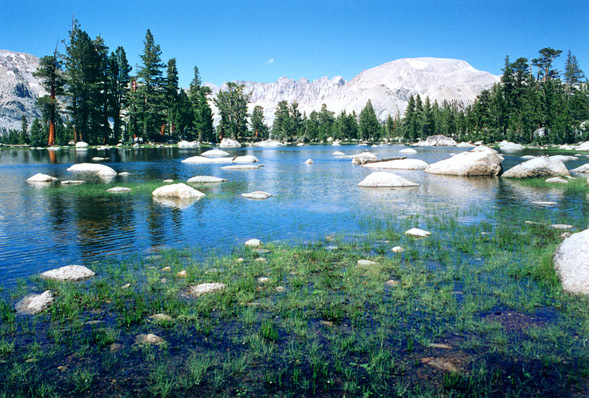 You'll see this view as you hike up the Pacific Crest Trail. The enormous round mountain is Mt Langley, which I have stood on top of. It is California's southernmost fourteener (14,042').